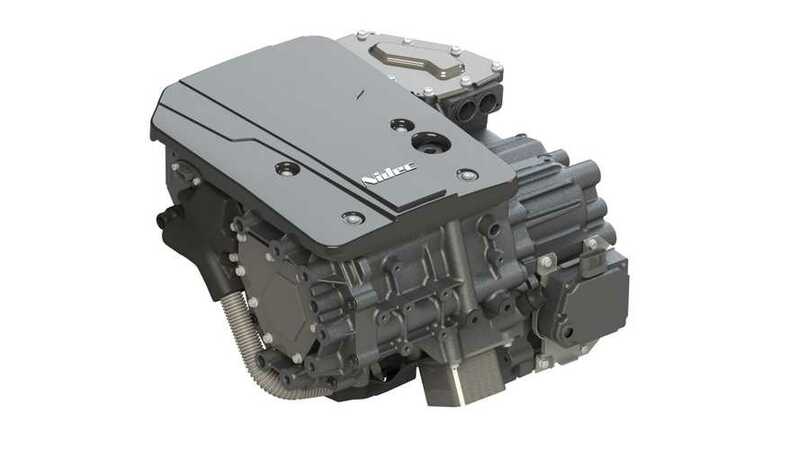 Nidec presents its latest fully integrated traction motor system (E-Axle) for electric cars that combines an electric motor, reduction gear box and inverter in a single unit (above). The Japanese company boasts that the new E-Axle is capable of churning out 150 kW of power and 3,900 Nm of torque (at the wheels). It weighs just 83 kg and is very compact in size. The previous model from 2017 had separate inverter and was good only for 40-130 kW and 1,200-2,550 Nm. In 2019, Nidec will begin production of its integrated E-Axle in China. In 2017, Nidec signed a partnership with PSA to jointly develop and produce electric motors under a joint venture in France. 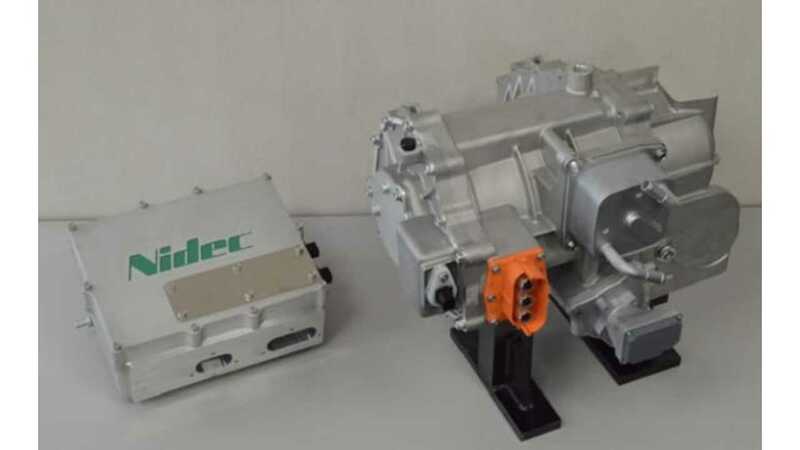 "Today, Nidec Corporation, a Kyoto-based leading global manufacturer of electric motors, announced the successful development of a new fully integrated traction motor system (e-axle) comprising an electric motor, reduction gear box and inverter. This new system is the latest and most advanced iteration of the company's e-axle developed to respond to the growing demand for automobile electrification. In addition to integrating the inverter, a separate component in Nidec’s first e-axle design announced in September 2017, the torque output capability has also been improved; the lightweight system weighs in at only 83 kg while achieving a maximum power output of 150 kW and a maximum torque output of 3,900 Nm. Furthermore, the new fully integrated design obviates the need for wiring between components, resulting in a more compact system that increases design flexibility. The new traction motor system covers a wide array of applications, ranging from compact cars to SUV platforms, and is compatible with AWD vehicles due to an optional clutch mechanism that can be disengaged when only two of the wheels need to be powered. Production is scheduled to begin in 2019, starting in China and later expanding globally. Nidec was founded in Kyoto, Japan 45 years ago by four engineers and has since grown into a world-leading comprehensive motor manufacturer encompassing approximately 300 subsidiaries employing over 100,000 people throughout the world. After becoming the first company in the world to successfully commercialize a direct drive spindle motor for HDDs using brushless DC motor technology, the company branched off into the automotive motor market which now constitutes its fastest growing business segment. Nidec’s electric power steering motors, in particular, have captured the largest global market share and helped cement the company’s position in the industry."